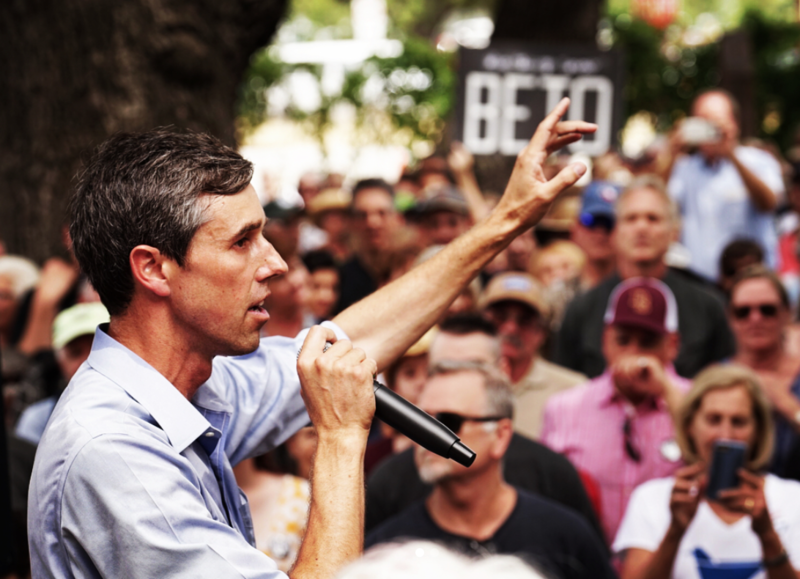 Home»Opinion»Why Millennials Should Vote for Beto O’Rourke This Fall? Why Millennials Should Vote for Beto O’Rourke This Fall? The El Paso native seems to get everything right – from his views on immigration, LGBT rights, his stance on energy jobs, to even skateboarding in a What-a-burger parking lot. What’s there not to like? Robert Francis O’Rourke, better known as Beto, has been taking the internet by storm with his unorthodox style on the campaign trail. He has been using social media as a tool to let his viewers take part in his on-the-road chats and Town Hall meetings in all 254 counties. Beto has said the reason why he decided to use social media while touring Texas is that he wants voters to get a much more personal view of him. Beto worked diligently towards a career in politics shortly after his father, Pat O’Rourke, passed in 2001. Pat O’Rourke served for a decade as a commissioner in the 70’s and was later elected as a county judge from 1982-1986. Beto’s big break in politics began in 2005 when he was elected as a city councilman. In 2012 he ran as a congressman 16th congressional district and ousted longtime incumbent Sylvester Reyes. Now he plans to take Ted Cruz’s seat this November, the incumbent U.S. senator of Texas. Beto believes in serving the people, no strings attached, so he has refused to take any money from big corporations or Super PACs (Political Action Committees) and has raised more than a million dollars than the opposition (Ted Cruz) from everyday voter donations. O’Rourke is a well-known progressive that has been elected and re-elected in a district that has a strong record of supporting LGBT rights. When he ran in 2005 for city councilman he championed for domestic partnership even when it wasn’t the most popular issue to support and when he ran for congressman in 2012 he beat incumbent Sylvester Reyes while strongly backing LGBT rights. “This is Inhumane, I’d like to say this is unamerican, but this is happening in America.” Beto O’Rourke on children separated at the border in a CNN interview. Beto wants to end the militarization of border enforcement agencies and close detention centers that are being used to hold children or separate families. He supports the DREAM Act, a piece of legislation that allows minors to apply for permanent residency if they have been here a set amount of years, no criminal history, have high school diploma and is attending secondary education. He also wants to pass legislation that would legalize those lawful immigrants who have been in the united states and provide them with a fair pathway to citizenship. He’s ambitious on his plans for jobs for Texans, there quite a lot on his to-do list. He knows that Texas is the energy state and he wants to make sure that Texas continues leading the country but in clean energy. In a recent interview with HBO host Bill Maher, he mentioned: “The state of Texas is already leading the country in the generation of wind power, we will soon lead in generating solar power”. He doesn’t believe in leaving anyone behind which is why he wants to implement training, certification and apprenticeship programs to help those who don’t have the means of acquiring a college degree. He also wants to create jobs to fix the infrastructure all over Texas as well as Houston to prevent another Harvey disaster. The NOAA (National Oceanic and Atmospheric Administration) estimates that total rebuilding costs for Harvey will reach $125 billion, making it the second-costliest weather disaster in US history. Beto has been an avid supporter of universal background checks, banning bump stocks as well as high capacity magazines and assault rifles. He supports the second amendment and law-abiding gun owners. Beto was also one of the congressmen who participated in the House of Representative’s sit-in of June 22nd, a protest for gun control legislation in the aftermath of the Orlando nightclub shooting earlier that month. Robert O’Rourke is an avid progressive who has made his passion for the future of Texas and serving Texans abundantly clear. If you still doubt his chances for winning the Senate seat, just know you’re not the only one. But recent polls have shown him closing in on Cruz, in a state that has remained consistently red for decades. There’s no telling if O’Rourke has this election in the bag, but one thing is clear, all eyes are on Beto.